Can you tell me where in Edinburgh I have sketched? The prize for September is one of my Edinburgh mugs. The winner will get to choose one of my three designs which feature my illustrations of Scotland’s beautiful capital city. Enter via the link above or email contact@edinburghsketcher.com with the subject line ‘WhereArtI 19th September 2016’. 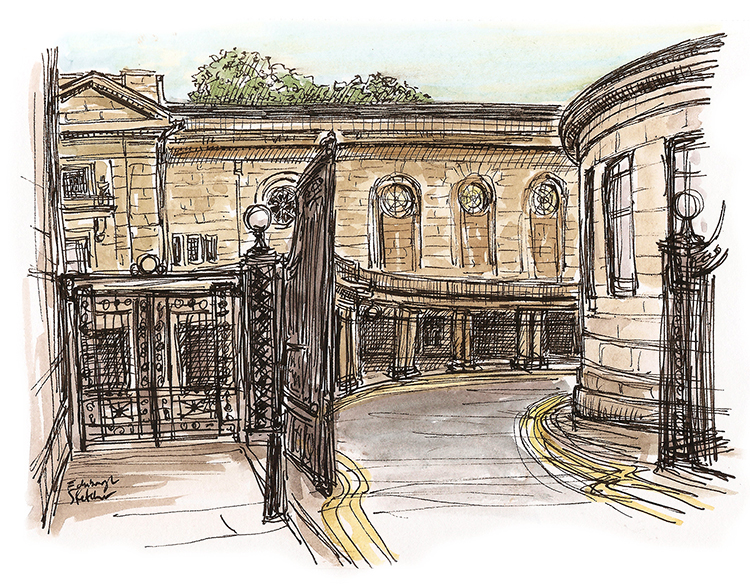 WhereArtI Update September 19th – Leith Theatre, or the Thomas Morton Hall on Ferry Road. Well done John Paton who goes in the draw for this month’s prize of an Edinburgh Sketcher mug. Be sure to play on Monday for another chance to win.